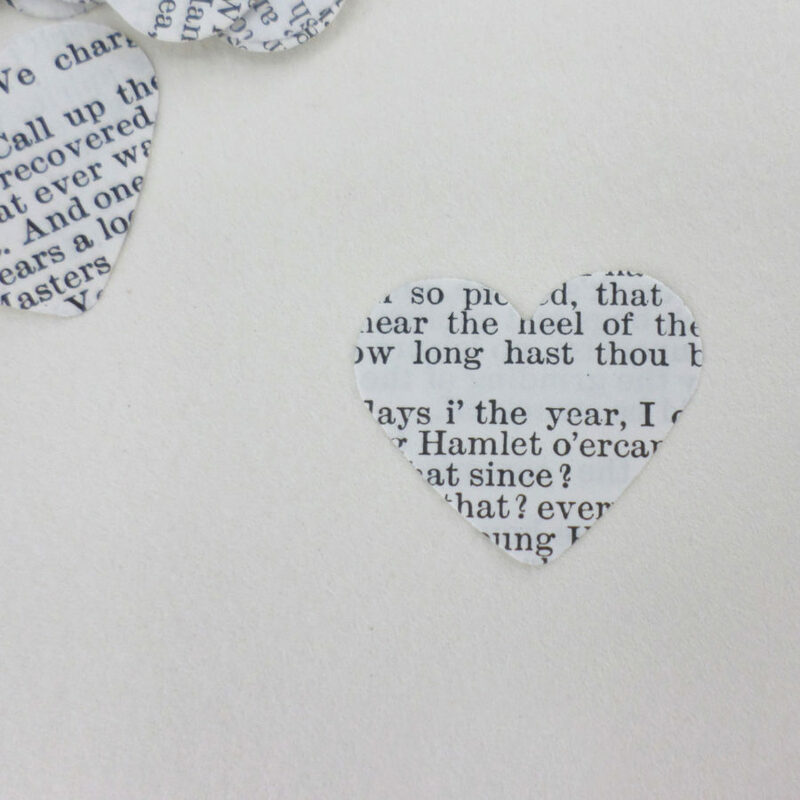 Shakespeare confetti hearts. Miniature confetti hearts to use in craft projects, for party decorations and wedding tables. 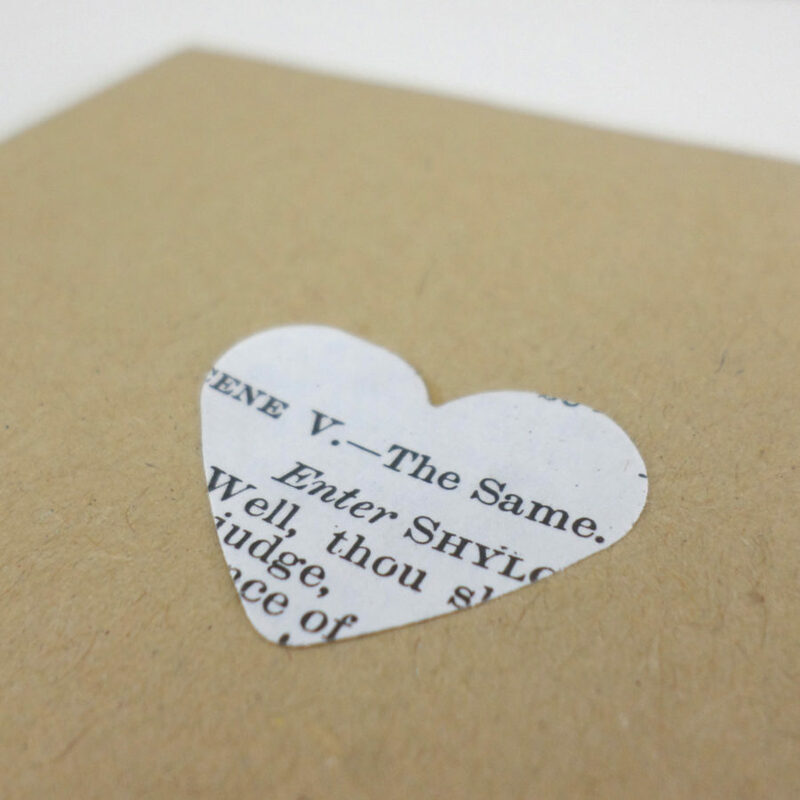 Shakespeare Confetti Hearts. 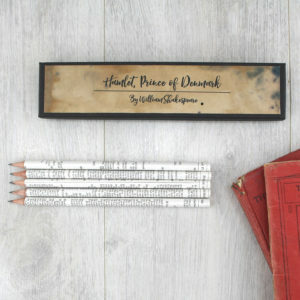 Each heart shows you a small piece of one of William Shakespeare’s plays. 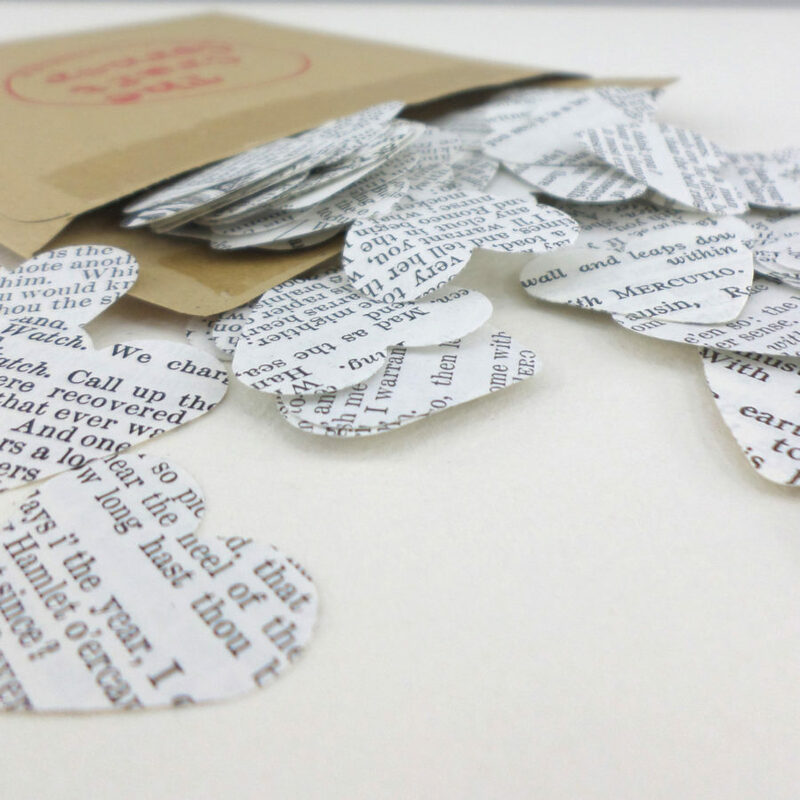 Catch glimpses of some of the worlds most famous lines in each pack of Shakespeare Confetti Hearts. 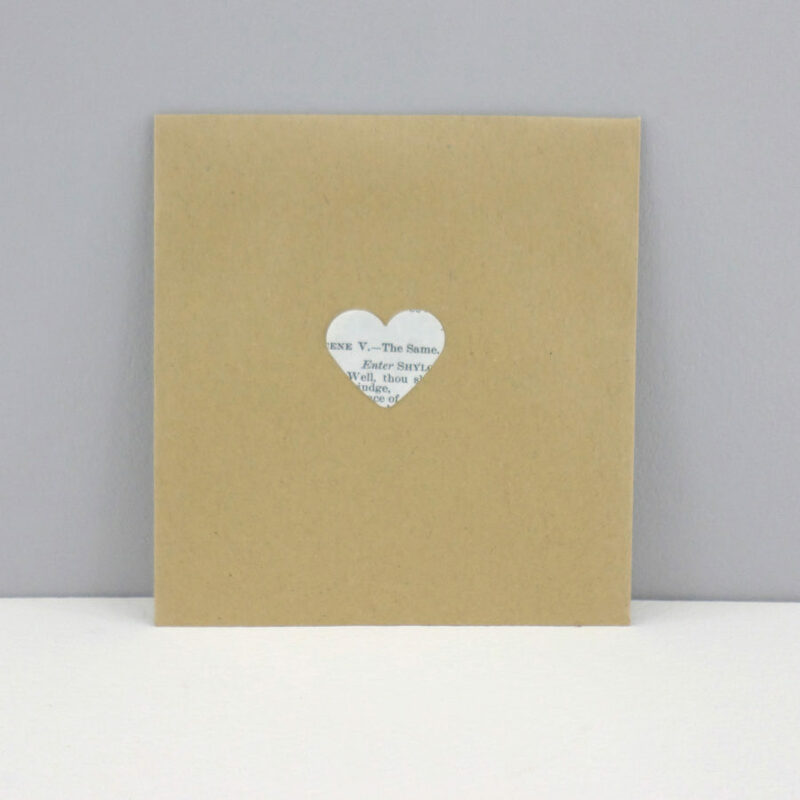 Each envelope contains 50 mini hearts with text on both sides. You can use these Shakespeare confetti hearts to make bunting, artwork or for card making. 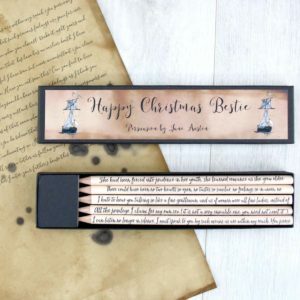 They would make a great addition to any gift for Shakespeare fans or anyone with a love of English literature. 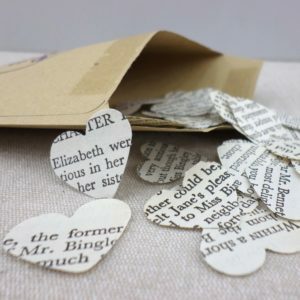 You can see how I have used the confetti hearts in this little tutorial here on making your own envelopes. Use the confetti hearts to decorate your table settings, or for gift tags. 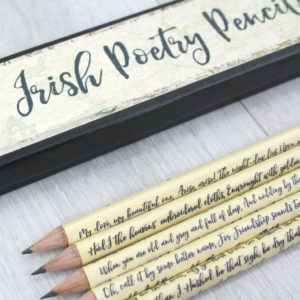 You could even use to make your own literary inspired wrapping paper!